Description: After the death of their parents; Ravi Anand the eldest of seven brothers becomes the guardian to his other six siblings. His dictatorship and measures to get things done are frustrated by his brothers and thus they grow up like animals and this becomes their life-style. Ravi meets with a nurse, Indu and both fall in love and get marry. After marriage Indu moves in with the Anands and disapprove of their living and to their shock attempt to change this albeit with considerable results. The six brothers meet their life-partners and bring them to live at their home. Unfortunately one of the girls, Seema Singh who happens to be wealthy invites the wrath of her paternal uncle, Ranjit Singh who abducts Ravi and keep him as hostage on an isolated island while at the same time send his look-alike the notorious Babu to take his place so that he can kill Seema in order for Ranjit to be the sole beneficiary of her inheritance; killing anyone who dears to stand in his way.After the death of their parents; Ravi Anand the eldest of seven brothers becomes the guardian to his other six siblings. His dictatorship and measures to get things done are frustrated by his brothers and thus they grow up like animals and this becomes their life-style. Ravi meets with a nurse, Indu and both fall in love and get marry. After marriage Indu moves in with the Anands and disapprove of their living and to their shock attempt to change this albeit with considerable results. The six brothers meet their life-partners and bring them to live at their home. 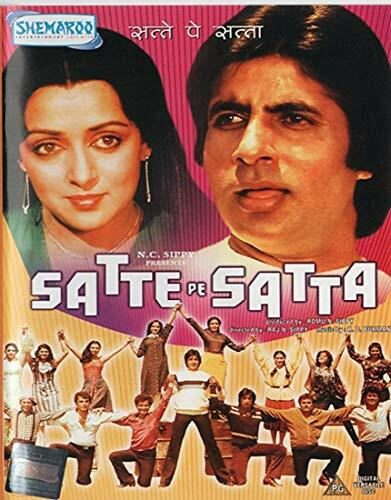 Unfortunately one of the girls, Seema Singh who happens to be wealthy invites the wrath of her paternal uncle, Ranjit Singh who abducts Ravi and keep him as hostage on an isolated island while at the same time send his look-alike the notorious Babu to take his place so that he can kill Seema in order for Ranjit to be the sole beneficiary of her inheritance; killing anyone who dears to stand in his way.